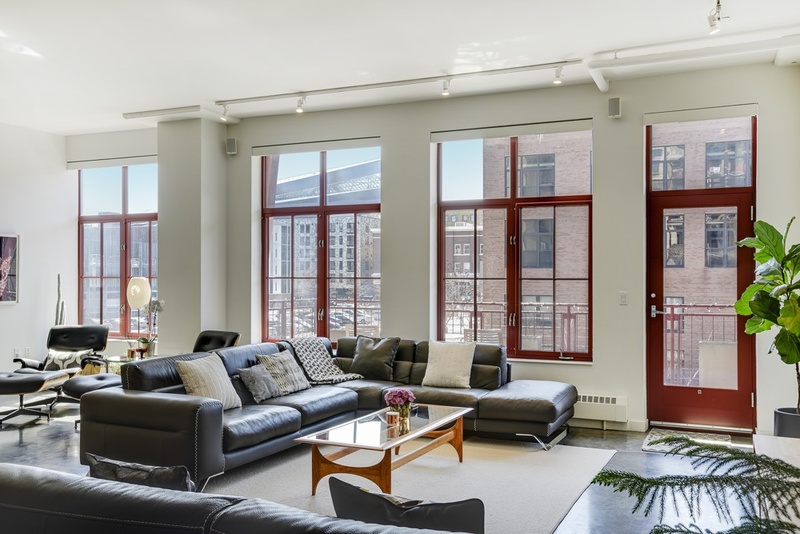 Live at Stone Arch Lofts for under $1M! Corner floor plan, flooded with sunlight and very efficient layout with two bedrooms plus office alcove, two bathrooms, balcony and two parking stalls! Very recent remodel including freshly polished concrete floors, fresh paint through out, new professional-grade appliances, new lighting, new home electronic system and new closet systems. Fabulous laundry room with new washer/dryer and storage systems to die for!